All Round Hill homes currently listed for sale in Round Hill as of 04/25/2019 are shown below. You can change the search criteria at any time by pressing the 'Change Search' button below. If you have any questions or you would like more information about any Round Hill homes for sale or other Round Hill real estate, please contact us and one of our knowledgeable Round Hill REALTORS® would be pleased to assist you. "Nestled among the foothills of the Blue Ridge Mountains you will find this beautiful craftsman style home with approximately 7100 sq. ft. This stunning home is being offered for sale for the first time. The house offers 5 bedrooms, 5 full baths that include his and her areas in the master, a steam shower located in the lower level and 2 half baths. Four car garage plus one in the barn for a total of five spaces. Hardwood flooring throughout the main level, granite counters in the kitchen and stainless-steel appliances. 4 gas and 1 wood burning fireplace. Fully finished basement with media room, kitchenette and large living/game room. A front porch, rear deck and inground gunite pool with jacuzzi make for endless entertaining possibilities. 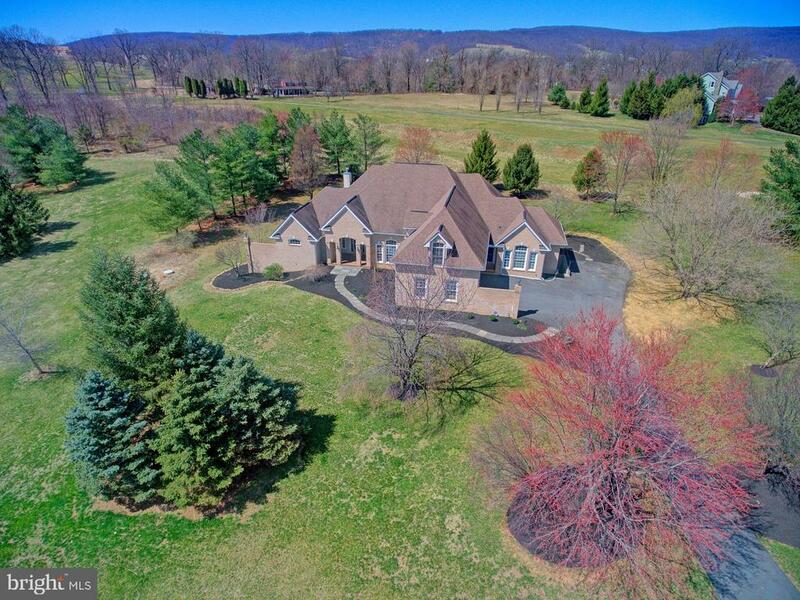 Amazing views from every window.The 14+ acre lot is in permanent land use (lower taxes) and the grounds have mature landscaping conveniently located minutes from Rt. 7. Custom built 3 stall center aisle barn with large loft, tack room with hot/cold water, ceiling fans in stalls and one car garage with automatic opener. Horse friendly neighborhood with ride out possibilities. Crushed stone riding ring and approximately 7 acres of paddock area adjacent to the barn with 4-board and electric fencing (powered by solar) and 2 automatic water stations that are freeze proof. 3 zone heating/cooling with newer units and whole house humidifier. Generac propane fired automatic generator to run most systems during power outages. Hard-wired smoke/security system with 24-hour live monitoring.2 large storage areas (one temperature controlled). New pool heater and motorized safety cover and recent replacement of the tile surround.This location is close to Stoneleigh Golf and Tennis Club, the Appalachian Trail and the Shenandoah River. Restaurants, shops, breweries and wineries are a short drive away." "Solid 4-sided custom Flemish bond brick home w/ 4 masonry fireplaces, 4BR & 4FB. No expense was spared in the quality construction that went in to this home. Beautiful library with built-in book shelving, FP, & picture window to garden. Rich hardwood flooring and molding throughout. Gourmet KT w/ commercial grade Viking stove & fridge. 10 ft ceilings. 2-level 3-car garage with 1000 sq.ft above." 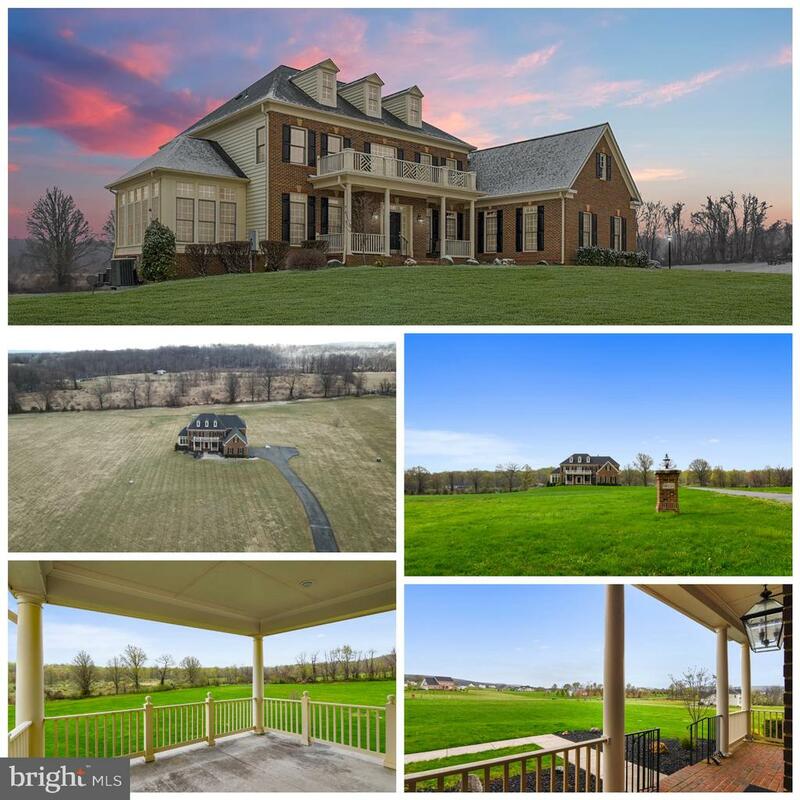 "Charming Small farming Loudoun County located in the heart of Piedmont Hunt Country.Fifteen minutes to both Purcellville and Middleburg and the Appalachian trail. Main House with downstairs master suite. Guest house as a potential rental house.Four stall barn with wash stall and tack room. 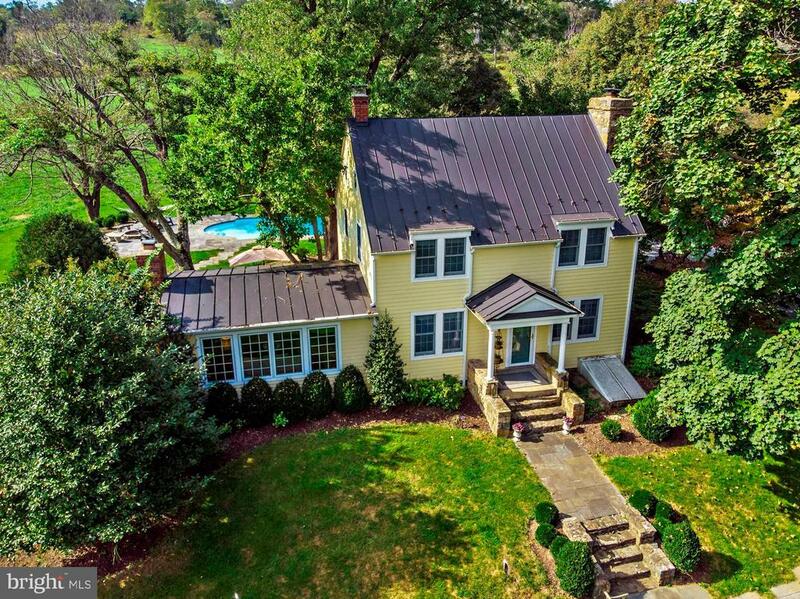 Three bay garage with studio space above"
"Charming Small farming Loudoun County located in the heart of Piedmont Hunt Country.Fifteen minutes to both Purcellville and Middleburg and the Appalachian trail. Main House with downstairs master suite. Guest house as a potential rental house.Four stall barn with wash stall and tack room. Three bay garage with studio space above." "BEAUTIFUL CUSTOM BUILT ESTATE HOME! 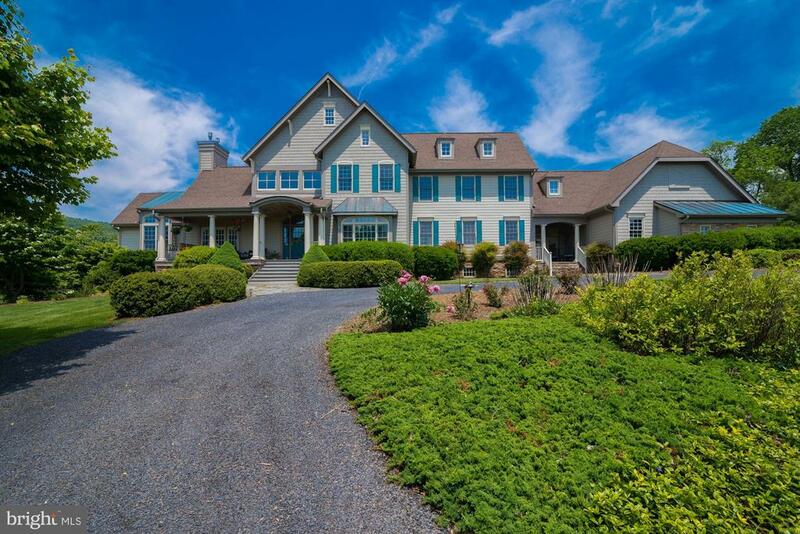 5 bedrooms, 4.5 baths, situated on 3.66 scenic acres. ML open floor plan, gourmet kit w/ granite &SS app. Master suite w/ dressing rm & large UL bedrooms.Fin walk out LL w/ wet bar, media room & wine room. Trex screened in porch and deck. Patio w/ built in grill &hot tub. Det 3rd car garage powered by solar. Attention to detail & upgrades throughout!" 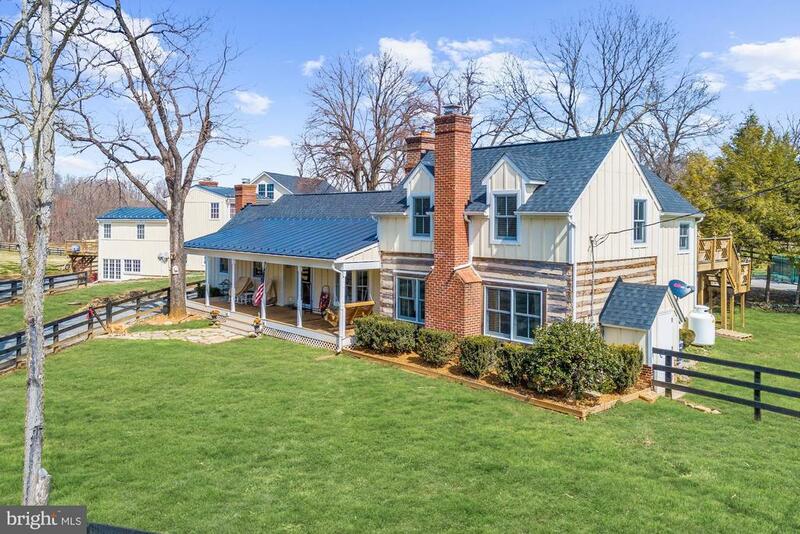 "This quintessential Virginia country house was built in 1985 using all period materials, built to look old, yet function as new. This charming home features lots of stone,antique floors,4 beautiful FP's,4 bedrooms, eat-in kitchen with granite counters and SS appliances.All perfectly sited on 11+ acres overlooking stocked pond.3 bay garage with 2bdrm cottage above Addit'l 6 acres avail." "This French inspired unique home sits at the end of a quiet cul-de-sac in rustic Round HIll, Virginia. Enjoy stunning views of the Virginia countryside from one of the many private balconies, or overlook the professionally landscaped salt water pool in the very private backyard. Suitable for multi-generational living, there is a first floor master with large walk-in closet and private bath, plus plenty of space for a game room and theater, and an au pair suite. New paint throughout house, new carpet, newly refinished cherry wood floors. Nestled among numerous breweries, wineries, minutes from Stoneleigh golf course." "TO BE BUILT. Come to Highlands for breathtaking mountain views, mature trees, and FANTASTIC homes! The Walnut has everything you could wish for in a new home - dramatic reverse staircase, 10' main level ceilings, open chef kitchen/family room design, spacious bedrooms, charming elevations. Amazing standard features as well as endless options. 15 floor plans available. Off-site decorated models." 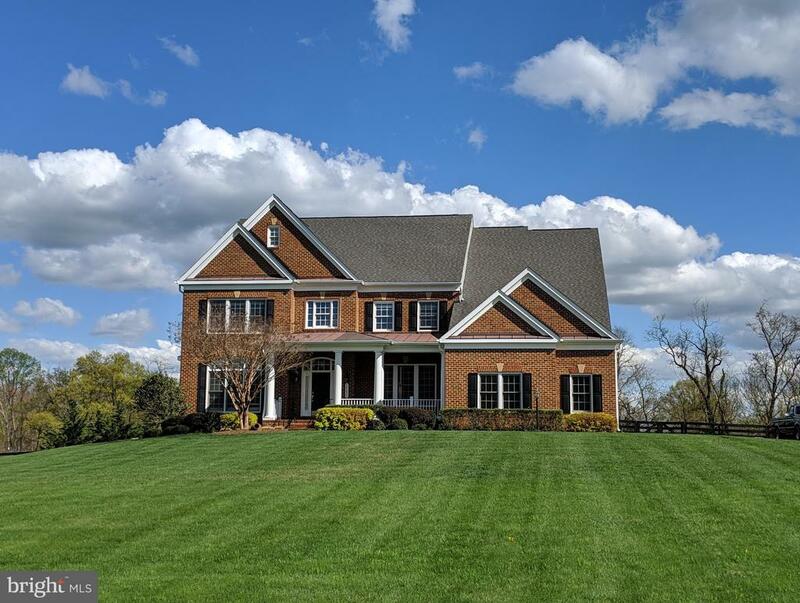 "Meticulous 4800+ finished square foot custom built Executive Home in the Stoneleigh Golf Club community offers 4+ Bedrooms, 4.5 Bathrooms, 3-car Garage and finished Lower Level on a 1.64 acre professionally Landscaped and Hardscaped lot. Fastidiously maintained and inclusive of designer specified decor throughout, the dramatic 2-story Foyer opens to the Formal Living and Dining Rooms. A Butler's Pantry connects to the well-appointed Kitchen complete with 42 maple cabinets with LED lighting, double ovens, a cooktop and granite counters. A center island, planning desk and adjacent pantry are accentualed with a newly installed Garden Window. The light-filled Breakfast Room flows into the Family Room with a granite surround Gas Fireplace and window seating. A French door leads to an ample covered deck overlooking the stunning backyard. The secluded backyard oasis with heated pool and spa will delight your family and guests. Recently renovated to include resurfacing, new coping and tile, and new spa deck in Italian stone and color-changing LED lighting. The stamped concrete patio and generous pool deck make this a fabulous outdoor living space. Additional property features include an oversized Owner's Suite with tray ceiling and spa-style Bathroom with jetted soak tub, a separate shower and water closet. Double French doors lead to a Bird's Nest Porch overlooking the lush landscape and pool. The secondary Bedrooms are generous in size with En Suite Bathrooms, and all the closets are customized with California Closet Organizers. A central vacuum installed on all 3 levels includes a garage port. Too many Features and Improvements to mention, please see the detailed accompanying document." 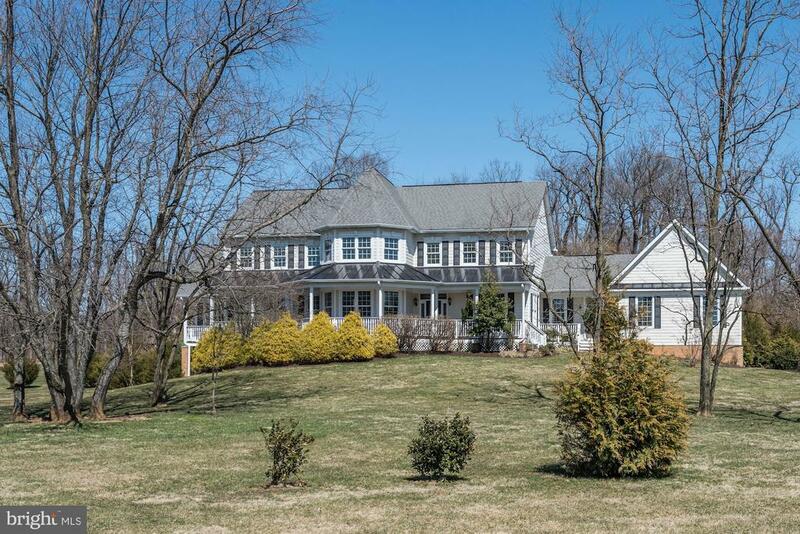 "Idyllic country retreat just one hour from DC and 30 minutes from Dulles. 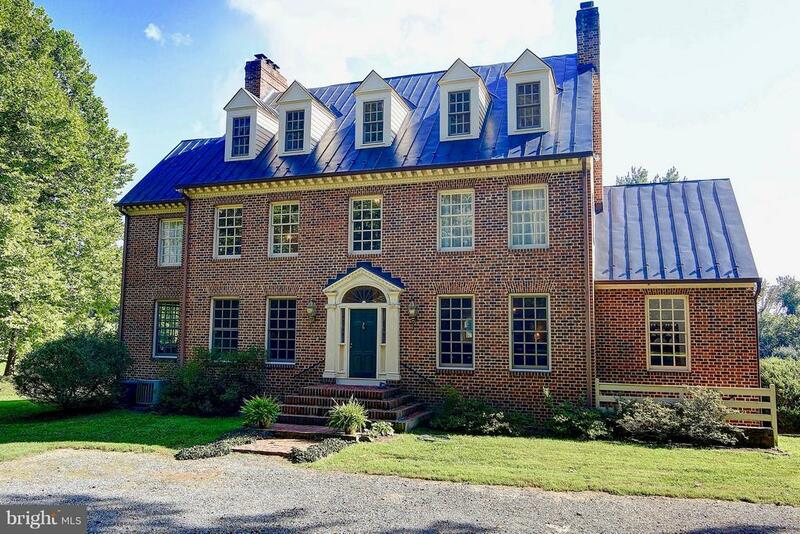 Beautifully renovated 3BR, 2.5 BA 1920s classic Virginia farmhouse, plus separate renovated guest apartment. Extensive hardscaping and landscaping with heated in-ground pool and new pool pavilion. Bucolic setting with stacked stone walls along a country lane and sweeping protected views of the surrounding countryside. The rare country property that combines all the charm of an historic home and property without sacrificing any modern amenities. New systems including Verizon FIOS and whole house generator. Minutes away from vineyards and breweries." "Wow! This home is stunning! COME TAKE A LOOK AT THIS BEAUTY! 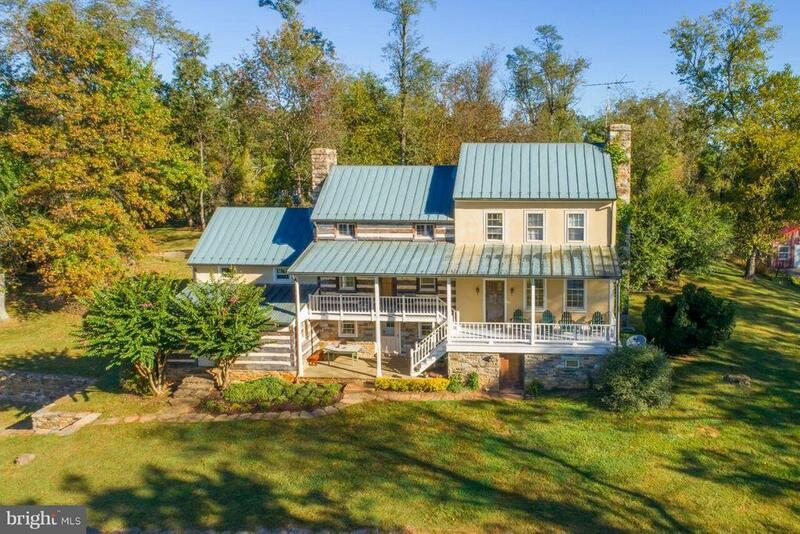 Stunning estate home on flat 7.28 acres with panoramic mountain views of the Blue Ridge Mountains. Best of both worlds, in the heart of Virginia wine country but a short drive from local shopping and attractions. The only equestrian approved lot. Perfect for that beautiful, custom pool you've been dreaming of! Newer architectural roof. Open floor plan floods the home with natural light. Gourmet kitchen to include, granite counter tops, large kitchen island, stainless steel Monogram appliances, walk in pantry and Sun room. Grand master suite features - sitting room with fireplace and private master balcony with breath taking views. Luxurious master bathroom to include - double vanities, soaking tub, over-sized separate shower and beautiful ceramic tile. It's a must see!" "BRING OFFERS! !~ This stunning golf course home has the best views in Stoneleigh and offers more features than we can list! Floor to ceiling Pella windows allow you to revel in the views through the 1st floor master suite and open kitchen/family rooms. Your 60-ft long Trex deck gives you amazing amounts of room to relax, lounge, cookout and entertain guests with views of the golf course and mountains. New main HVAC in 2018! Basement in-law Suite with ADA compliant bathroom. Expansive gardens and professionally designed arboretum provides you with over 800 sq. feet of protected area for flowers, herbs and vegetables. Automated lights, home monitoring & Nest. Owner says BRING OFFERS!" "This is it! Gorgeous New Home Model with Main Level Living with TWO Owner Suites is an Entertainer's Dream! Enter into a Private Foyer with High Ceilings and Open Oak Stairs with Hardwood on the Main Level. Large Sunlite Study with Bay Window. Elegant Dining Room with Side Bay Window. Fabulous Open Gourmet Kitchen with Upscale Stainless Steel Appliances Cabinets to the Ceiling. Eight Foot Long Island that Overlooks into the Family Room with Double Sided Fireplace that Doubles into the Screened In Patio - Yes the Patio has a Gas Fireplace! Private Hall Entry into a Large Owner's Suite with Walk-in Closet with Luxurious Owner's Bath with Titles and Glass Enclosed Shower. The Upper Level Opens into a Loft with a Granite Desk. The Upper-Level Owner's Suite Enters into an Open Sitting Area with a Wet-Bar, Beverage Cooler, and Microwave where You can Start Your Day with Coffee or Tea before Venturing Downstairs. The Lower Level Features a Large Wet-Bar with Wine Cooler, Wine Room, Media Room, Full Bedroom and Full Bath. The Luxury Finishes Throughout This Dream Home Are Fantastic!" "LOVE WHERE YOU LIVE! New Price! Unique architectural details abound in this unique floor plan! Bay windows along with volume ceilings. Main level master suite includes two walk-in closets plus luxury bath! Inviting gourmet kitchen, breakfast room and great room are perfect for casual entertaining. Upper level includes two large bedrooms and full bath"
"HUGE PRISTINE ESTATE HOME ON 3 ACRES...3 CAR GARAGE...10FT CEILINGS + HARDWOOD FLOORS ENTIRE MAIN LEVEL!...MASSIVE GOURMET KITCHEN WITH STAINLESS APPLIANCES, WALK-IN PANTRY, AND PASS THROUGH TO LARGE SUNROOM WITH FULL LENGTH WINDOWS...ISLAND IS SO LARGE IT'S MORE LIKE A CONTINENT!...2 STORY FOYER WITH ELEGANT LIGHTING AND CURVED STAIRCASE...FORMAL DINING WITH BUTLER'S PANTRY...BEAUTIFUL FINISHES LIKE WAINSCOTING, 3-PIECE CROWN, ARCHED ENTRY WAYS, FRENCH DOORS, 3 SHUTTERS, AND DESIGNER 2-TONE PAINT...CRAZY HUGE WALKOUT BASEMENT WITH 9FT CEILING LEADS TO FULLY FENCED BACKYARD WITH 3 GATES (4-BOARD FENCING WITH WIRE IS READY FOR YOUR DOG! )...5 LARGE BEDROOMS + 4 FULL BATHS UPSTAIRS! !...OWNER'S SUITE IS TRULY AMAZING = PRIVATE COVERED UPPER DECK + 3 SIDED FIREPLACE + SITTING ROOM WITH TRAY CEILING + ULTRA-LUXURY BATHROOM (WHICH NEEDS A WHOLE PARAGRAPH FOR ITSELF)...LARGE LAUNDRY AREA ON MAIN LEVEL HAS BOTH PRIVACY AND EASY ACCESS TO GARAGE AND YARD, WITH PRIVATE HALF BATH + MUDROOM COUPLED WITH ACCESS TO 2ND PRIVATE STAIRCASE TO UPSTAIRS OFF THE KITCHEN...NESTLED IN WINE AND HORSE COUNTRY WITH CONVENIENT ACCESS TO ROUTE 7 IN ONLY 6 MINUTES...AMAZING VIEWS!...31FT X 9.5FT BRICK-PAVED FRONT PORCH OFFERS PEACEFUL REPOSE...APPLE TREES + THOUGHTFUL LANDSCAPING...NEW WATER FILTER SYSTEM, SOFTNER, AND PRESSURE TANK (2018)...EXTERIOR TRIM COMPLETELY REPAINTED (2017)"
"TO BE BUILT. Come to Highlands for breathtaking mountain views, mature trees, and FANTASTIC homes! 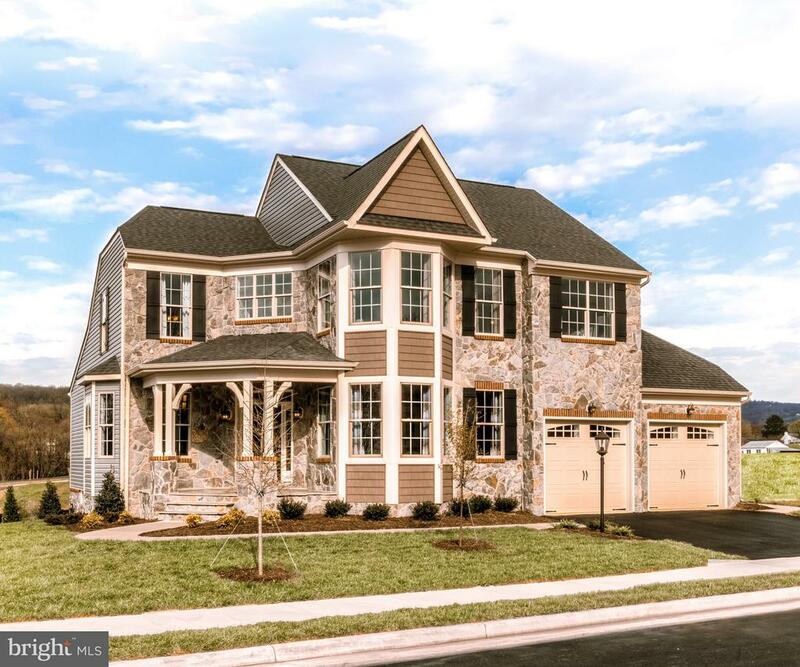 The Kendall Lane has everything you could wish for in a new home - open chef kitchen/family room design, spacious bedrooms, charming elevations. Amazing standard features as well as endless options. 15 floor plans available. Off-site decorated models." "BACK ON THE MARKET.... Stoneleigh on the 8th Tee! Panoramic mountain & golf course views. Private cul-de-sac. Light, bright, turn-key home with gourmet kit with waterfall, Bertazzoni stove, built in fridge, Jonathan Adler lighting. Grasscloth in MBR with jetted tub in bath. Lg closets, laundry chute, Nest x2. Built-in's & surround stereo. Game rm, Sun rm with FP. New roof, WH, updated A/C, septic, fixtures and more." 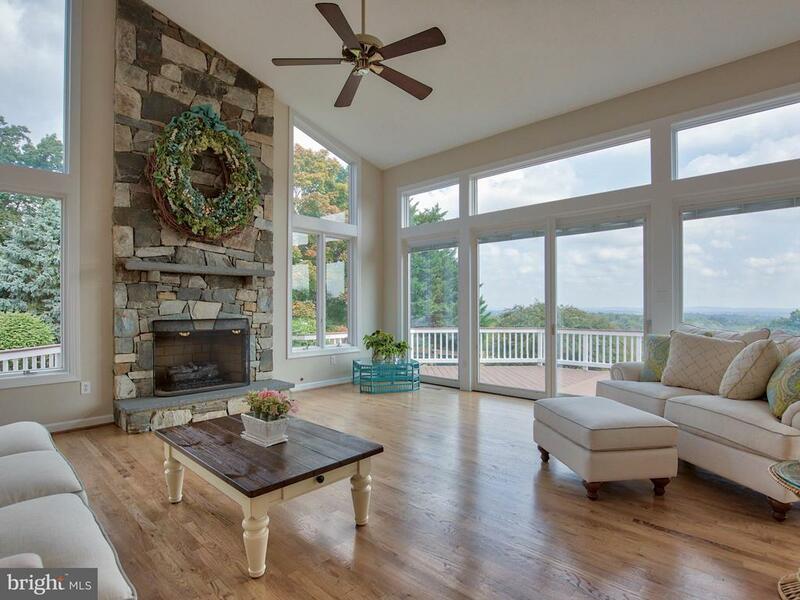 "Beautiful brick colonial, built by Carrington Homes in 2015, offers almost 4000 SF above grade with walls of windows that capture the spectacular Blue Ridge Mountain views. 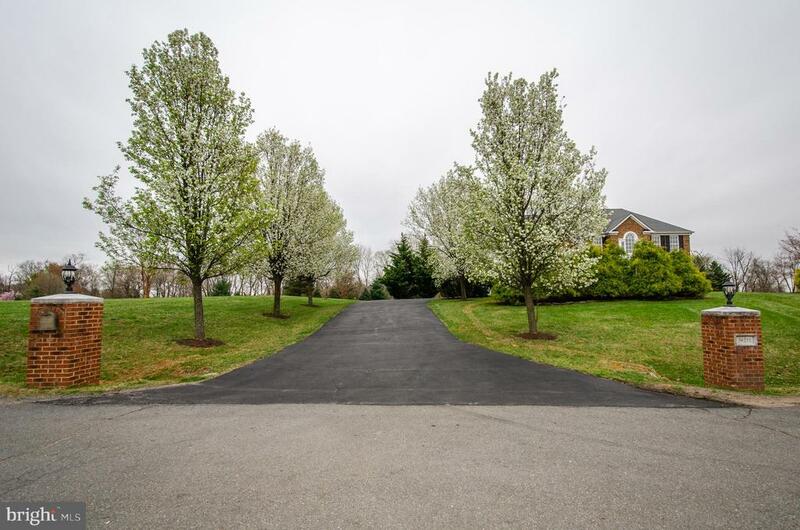 Nestled in a small enclave of 3 acre homes, this charming neighborhood is just minutes from Round Hill, Purcellville, Rt. 7, and Woodgrove HS. Main level features 10~ ceilings , hardwood floors, gorgeous moldings and trim, and arched entry that creates a WOW 1st impression. There is room for everyone with large gourmet kitchen with granite center island that opens to the Great Room and Trex deck, a 1st Floor Bedroom/Office with adjacent full bath, and 4 spacious bedrooms up with 3 full baths upstairs. Master Bedroom has luxury bath with 2 vanities, soaking tub overlooking the views, and spa-like shower. Lower level is light-filled and ready to customize." "Whole house renovation 2019. No HOA. 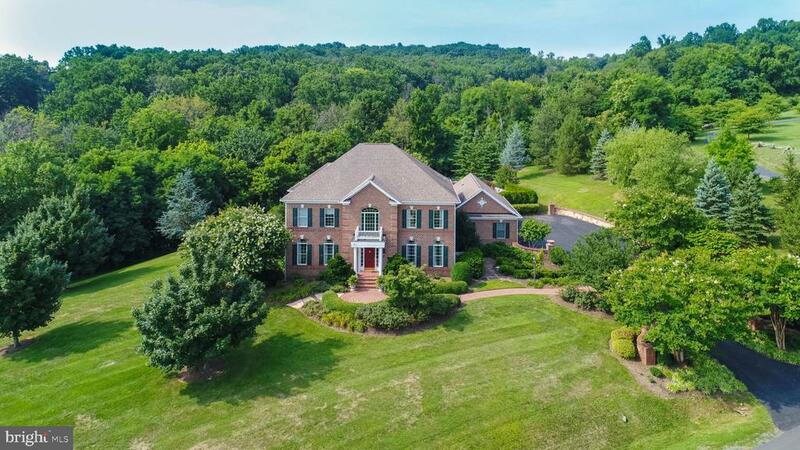 Minutes to Rte 7 or Purcellville! 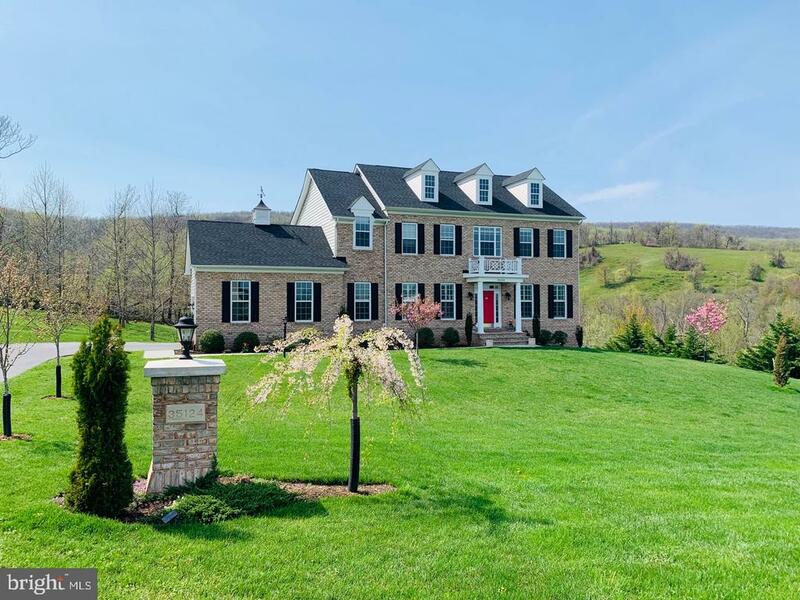 Handsome brick front colonial with slate & brick walkways leading into the 4BR 4.5BA 5,200 sq ft SFH on 3 private professionally hardscaped and landscaped acres with mountain views. Beautiful hardwoods and tasteful wood-trim details everywhere through entire main level, including the dual staircase. Light filled granite chef's kitchen with upgraded cabinets, cook island, party peninsula and separate lighted pantry. Granite Butler's pantry with built-ins leads to the elegant formal DR with shadow boxing and 3 piece crown molding. The LR is gracefully appointed with shadow boxing, 3-piece crown moldings, and bay window. The two story foyer features two story shadow boxing and an elegant chandelier. Two story GR with floor to ceiling stone fireplace, raised slate and stone hearth and two story shadow boxing capped with crown molding and ceiling fan. Separate library with 15 light doors, shadow boxing & crown, bay window and ceiling fan. Breakfast room with ceiling fan provides a wall of windows overlooking the 1,200 sq ft new deck and raised cupola. Spiral staircase leads to a large two-tiered private slate patio with raised brick fire pit. Upper and lower levels feature brand new premium grade carpet. MBR features crown molding, shadow box and cased opening wood trim detail and tray ceiling with ceiling fan. MBR graciously provides a separate reading room, 2 over-sized walk in closets and lots of natural light. MBA has 12' ceramic tile, his & her vanities, separate soaking tub and shower, private WC, and linen closet. Time and trip saving laundry shute next to MBR doors. BR 2 is Princess Suite with en-suite BA leading to a large secret play room or storage room. BR 3 and BR 4 share a large Jack-n-Jill BA. Newly finished bright walk-out lower level with premium carpet and pool table. Full Casino BA with 12' ceramic tile with jetted shower leads to workout & exercise room; which leads to the large s"
"**Ideally located in a great community on a private lot in Stoneleigh Golf & Country Club, this extraordinary custom-built residence of over 6000 sq ft offers 5 Bdrm/4.5 Bath and features unparalleled design graced with fantastic views. Meticulous attention to detail is evident with elegant designs, including arches, crown moldings, custom built ins, coffered ceilings, unique architectural features and custom wainscoting. This retreat built for open & easy living with two spacious levels and a loft graced by generous sized rooms will impress! The main level master suite features coffered ceiling, two walk-in closets, frame-less shower, soaking bathtub, double vanities and an access door to the outdoor oasis. The entry level also consists of 2 additional bedrooms with full bath, gourmet kitchen featuring 5 burner gas stove, cabinetry, walk in pantry and granite counter tops. Enjoy evenings in the living room with beaming high ceilings and expansive windows overlooking the picturesque golf course. The upper level loft features a spacious bedroom and full bathroom. The finished basement suite offers two separate entrances, a billiards room and an entertainment room with fireplace in addition to a bar/ kitchen area, a large recreational room and a potential 6th bedroom. Enjoy the in law suite or expanded apartment at your leisure. 10+ ft. ceilings and unique architectural elements are among the many fine features of this residence complete with a large 2 level deck overlooking the park-like landscape on nearly 2 acres. Positioned adjacent to hole #6 the 18-hole championship course which was designed by Hall of Fame Architect Lisa Maki was named the prettiest golf course in Northern Virginia by Golf Magazine. Enjoy a short walk to the country club, pool, the restaurant or a short drive to the Franklin Parks Arts Center. Just off of route 7, enjoy a short drive to all major routes. This abode is the epitome of an elegant lifestyle! Welcome home! 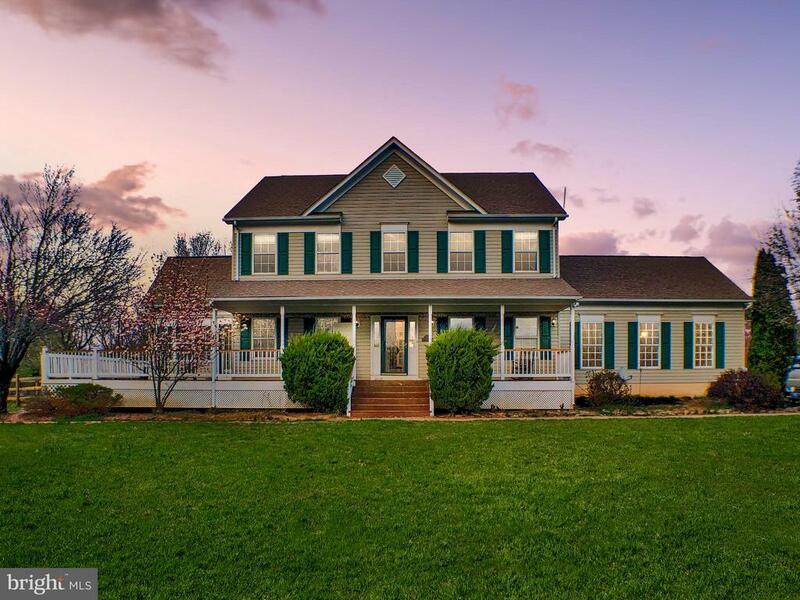 **"
"Welcome to the Devonshire Community in Round Hill, VA where Country meets Elegance - located just outside of the Town of Round Hill, VA and with easy access to Route 7, this lovely home is located in a small community of custom homes. Fios Internet and Direct TV can be enjoyed, along with breathtaking views of the Blue Ridge Mountains. Breathe the fresh country air, and enjoy your new interest in astrology under the brilliant night sky.The owners have loved this home and the location. They enjoy bird watching, the weather patterns and nature's beauty that surrounds them. Elegant exterior boasts of oversized 3 Car Side Load Garage, front porch, Hardiplank Siding, Custom screened porch off of the kitchen and Patio, which is a compliment to the wooded rear yard, with a park-like setting. Inside the home is just as lovely, with an elegant 2 story foyer with hardwood staircase, formal living and dining rooms, sunken Family room with Masonry Propane Gas fireplace and beautiful views of the rear yard. The spacious Kitchen with Center Island, Cook top, Wall Oven, Microwave leads to Custom Screened Porch! This home also has a mud room with a separate door, perfect for pets, on the main level with an oversized closet, adjoins the laundry room, and leads to the Garage. The upper level boasts a luxury master bedroom with large walk in closet & luxury bath with soaking tub and separate shower. 3 Full Baths on the upper level and 5 spacious Bedrooms. Your Guests will enjoy their own private suite with Full Bath. One of the spacious bedrooms can be used as an office and has custom built in cabinetry and desk. The lower level boasts an recreation room, plenty of storage areas, a workshop and a double wide walk up t to the rear yard. This lovely home is ready for move in and enjoyment -- Plan on loving this home from the moment you see it! Fios Internet Service! Low HOA Fee / $50 per year! Private Trash Service available!" 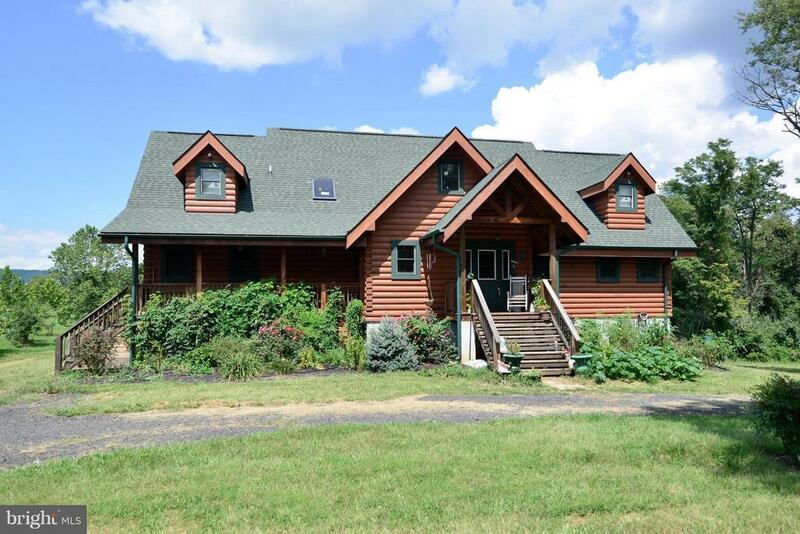 "Beautifully constructed Tennessee Timberframe Home, 6 years old. Great Room w/ beamed cathedral ceiling, 2 Master BR on Main. LL walk-out with rough in and lots of room for 2 more BR as designed. This 3 Acre property can be Family Compound or Home and Guest House with 2 houses on the land. Possible extended family dwelling or Au Pair. 2nd house currently an income producing rental." "Custom Home in Stoneleigh CC, over 4,400+ sq. ft. located on 1.5 acre on the 12th green with Amazing views! Main level Master with updated Lux bathroom, 5 bedroom/ 4.5 baths, 3 finished levels, 3 car garage, Gourmet Eat In Kitchen featuring 42 Maple Cabinets ,Stainless appliances, large island, 5 Burner Gas cooktop, double ovens and Quartz Countertops. Hardwood floors on entire main and upper levels, Formal living room with fireplace and formal Dining room, Family room with Stone Gas Fireplace and built in cabinets, upper level has 3 bedrooms and 2.5 baths, Walk out Lower level with Rec room w Stone Gas Fireplace, 5th Bedroom, 4th Full bath and gym, Impressive Maintenance Free Deck with Spiral Staircase to lower level Pennsylvania Bluestone Patio." "Custom Built Home in Stoneleigh CC on a Sun Filled 2.23 acres Cul-De-Sac lot. Enjoy a round of Golf with Neighbors and Dinner at Clubhouse with Mountain Gorgeous Views. Enjoy Your Own Peach Orchard and Flowers Galore for the Bird Watching and Naturing loving Enthusiast. This home is designed with a large Covered porch and Wrap around deck. 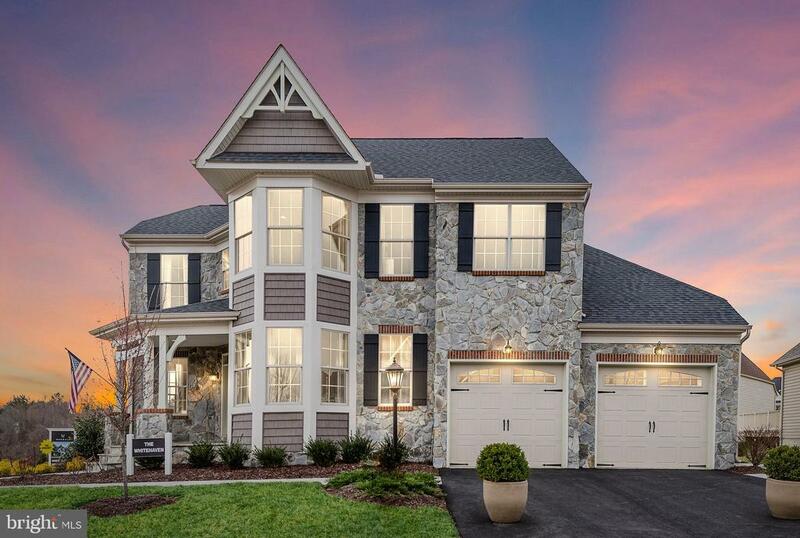 With over +3700 sq ft of living space, 5 bedrooms, 4.5 baths, Gourmet kitchen, sunroom, and Stone FP, walk out finished lower level with Full wet bar. 500 Gallon Propane Tank Owned Outright, New Roof in 2016, New Hot Water Heater, Dual Heating, Basement Furnace with Propane serving Main and Lower Level, Best Flat Lot in the Community. Perfect for entertaining. Inquire about Club membership."